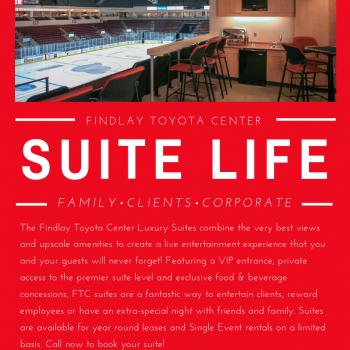 FINDLAY TOYOTA CENTER LUXURY SUITES ARE A GREAT LIVE ENTERTAINMENT EXPERIENCE! 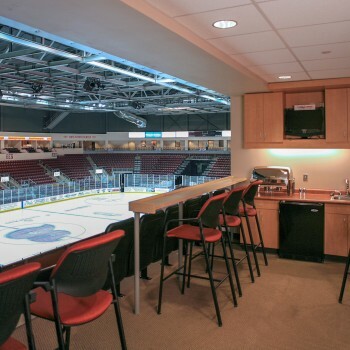 Our Luxury Suites combine the very best views and upscale amenities to create a live entertainment experience that you and your guests will never forget! 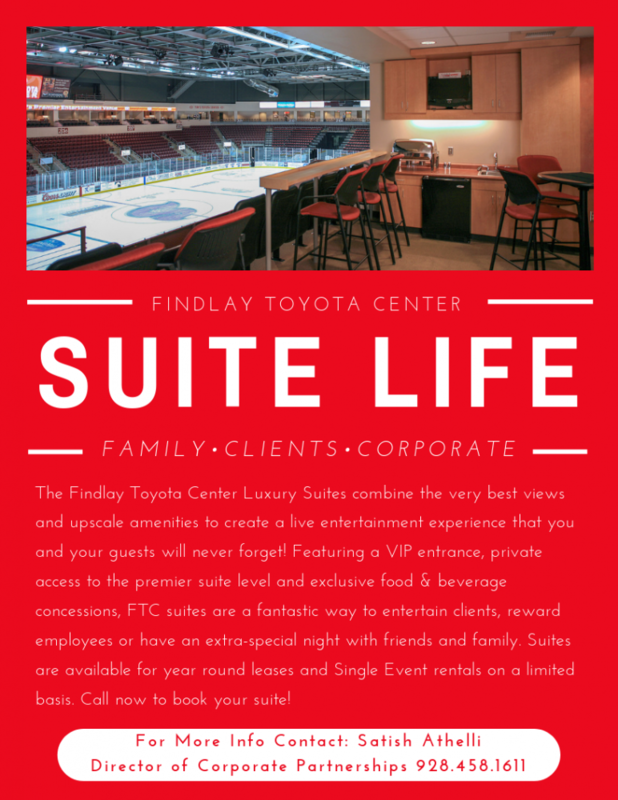 Featuring a VIP entrance, private access to the premier suite level and exclusive food & beverage concessions, Findlay Toyota Center suites are a fantastic way to entertain clients, reward employees or have an extra-special night with friends and family. 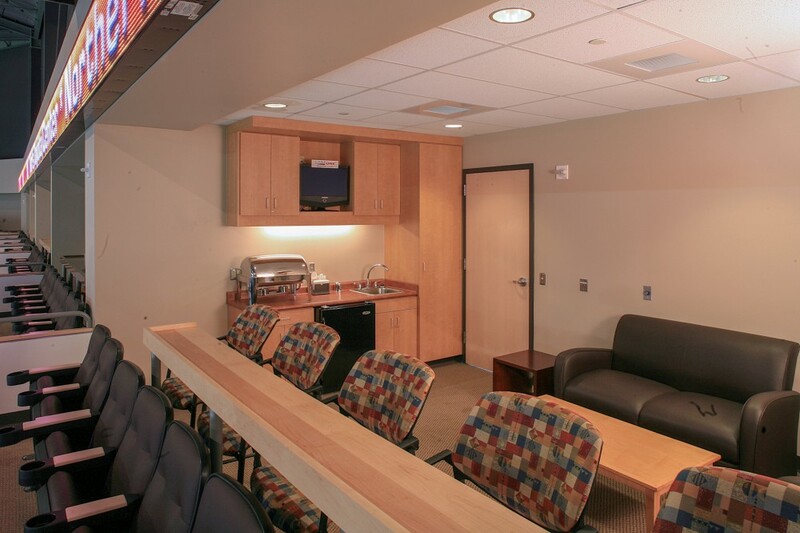 Suites are available for year-round leases and single event rentals on a limited basis.    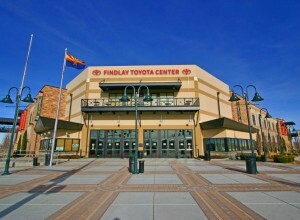 The Findlay Toyota Center has 17 Executive Suites and 2 Party Suite available for rental on a single event basis. 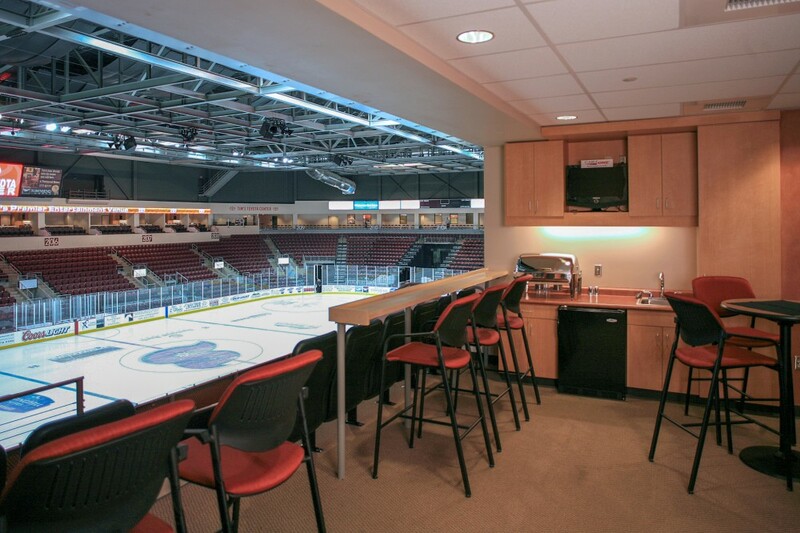 Suites can accommodate 10-29 guests and suite packages can be personally customized to suit your needs.  Take advantage of this special opportunity to rent a Luxury Suite for a single event such as exciting Concerts, thrilling Motor Sports Shows or spectacular Aerial Performances. 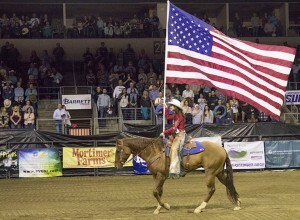 Entertain prospective clients, reward loyal staff or bring your family together for a night they will never forget! 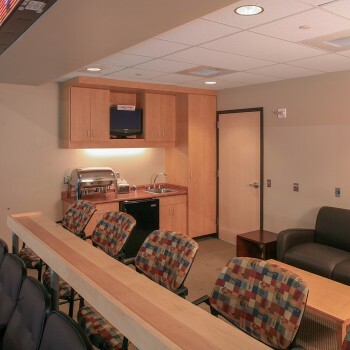 Annual suite packages include suite tickets to every event and access to use the arena for your private functions throughout the year.  Now, flexible payment terms and suite share programs make leasing a suite as reasonable as it is rewarding.